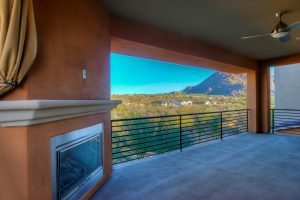 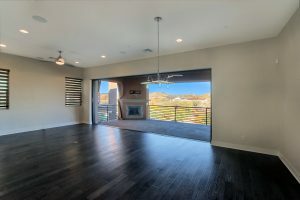 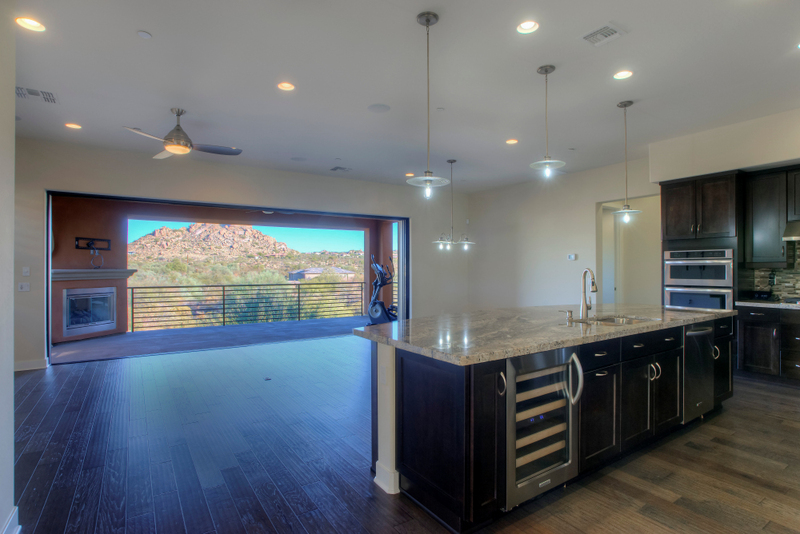 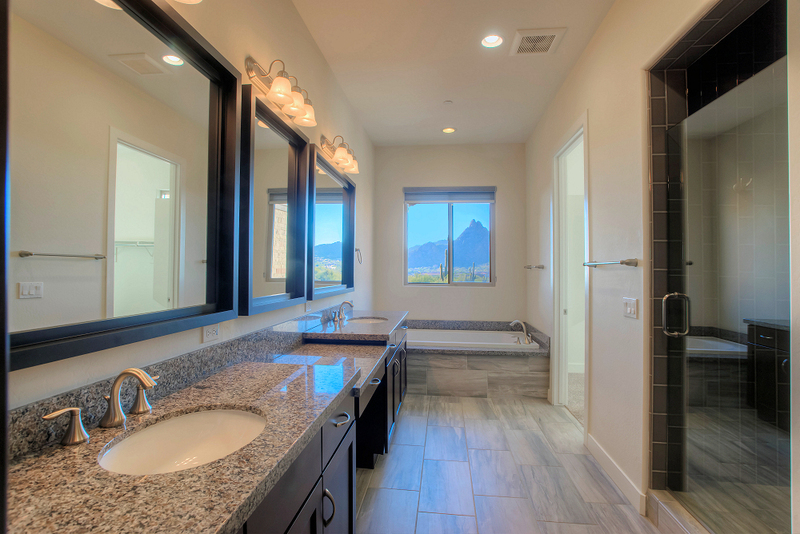 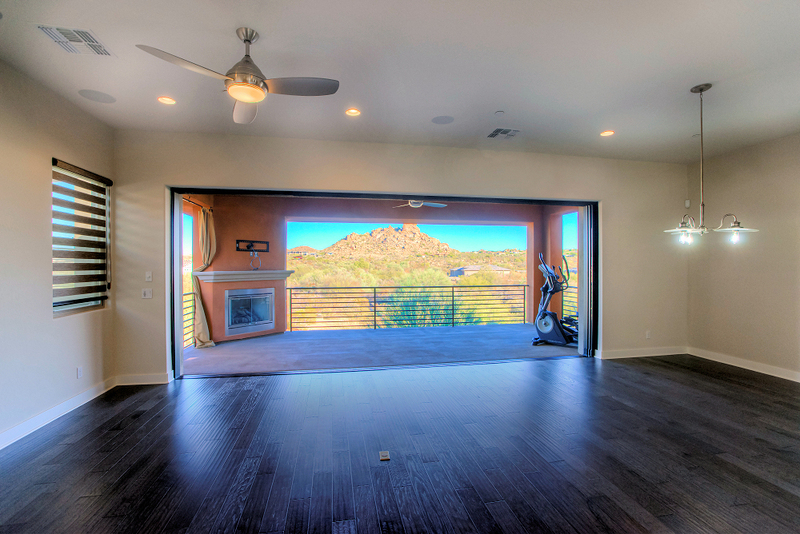 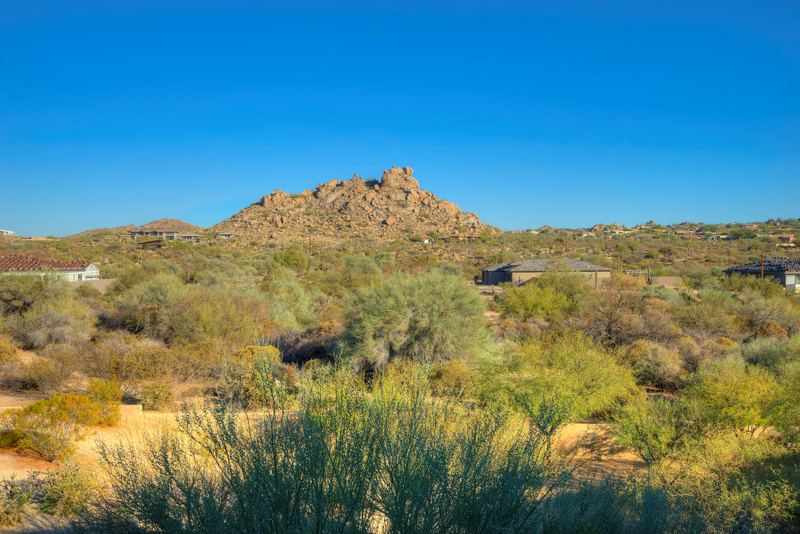 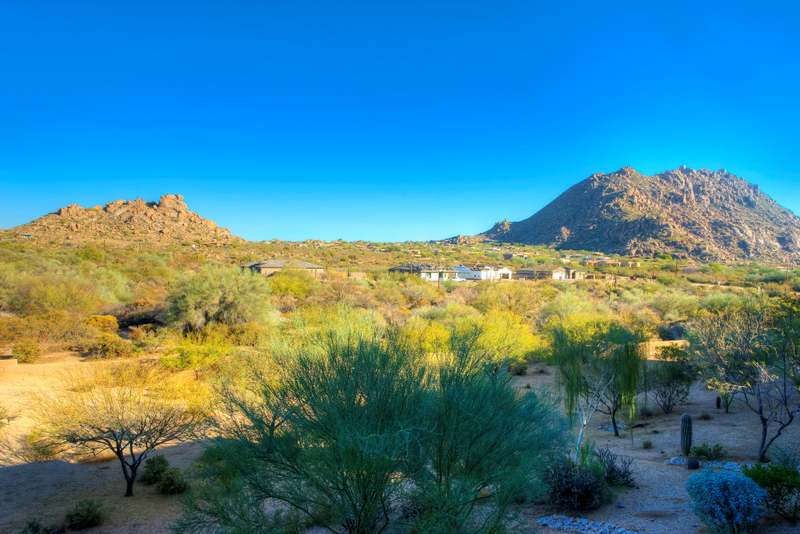 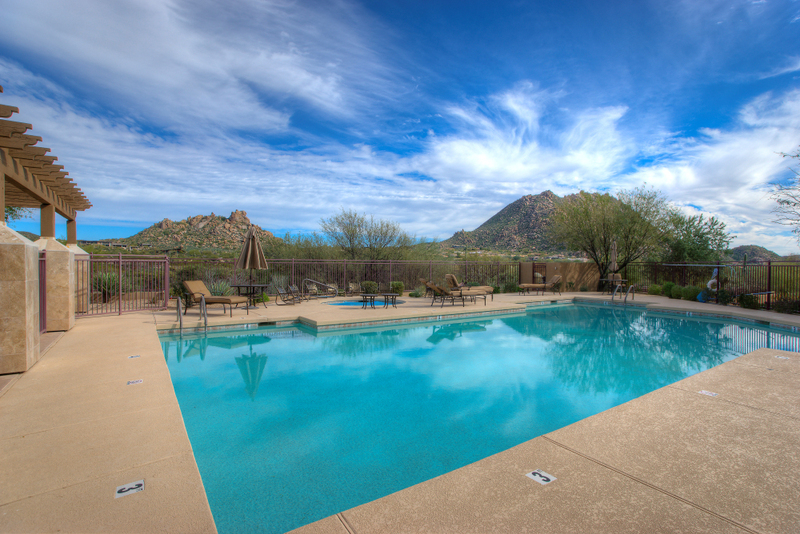 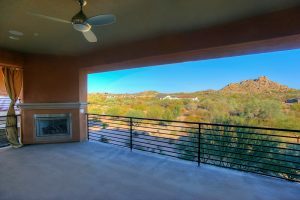 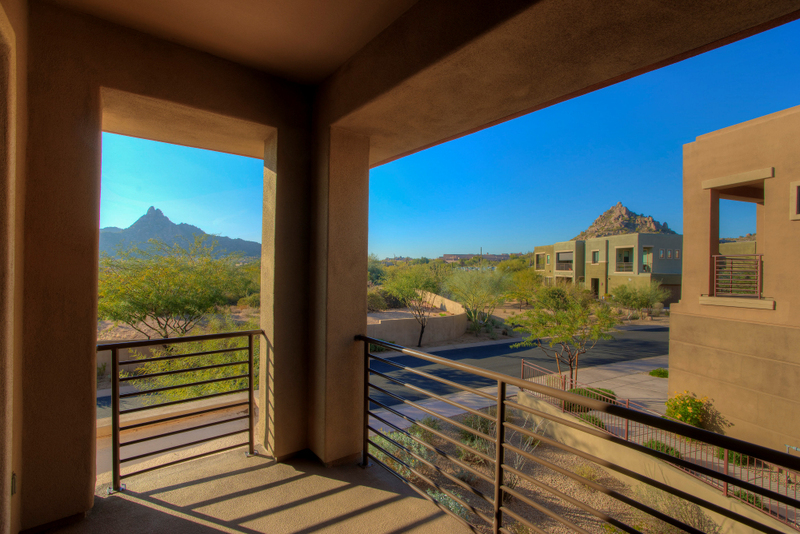 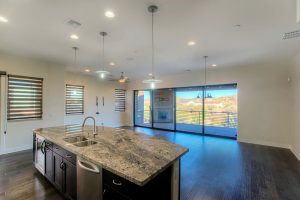 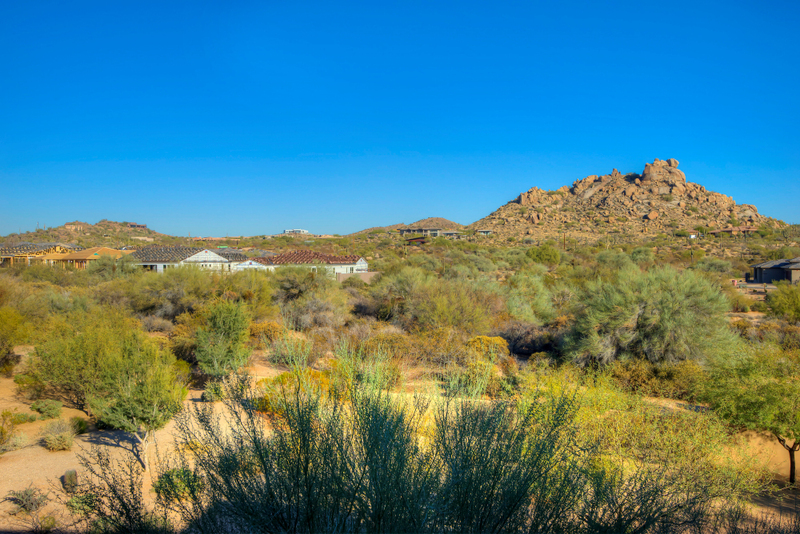 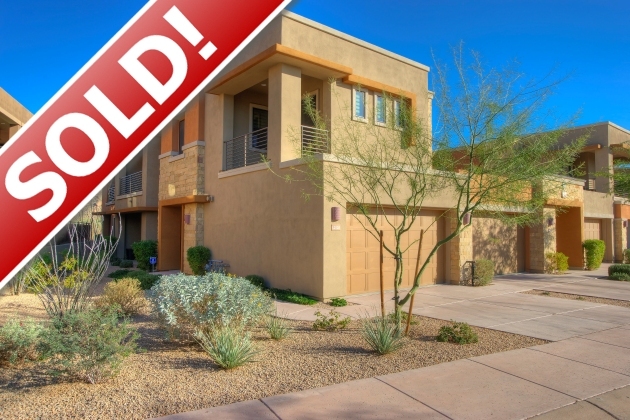 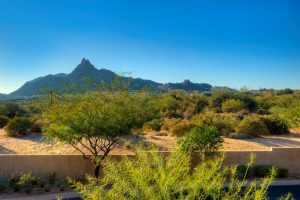 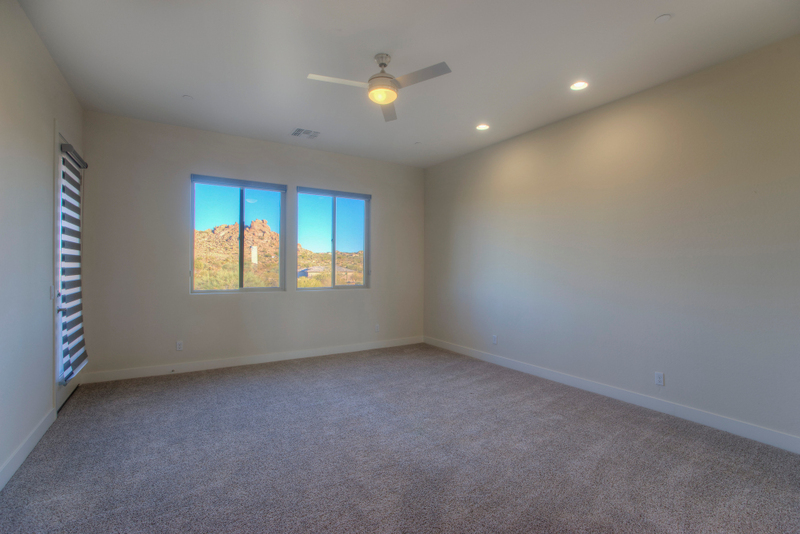 Spectacular elevated VIEWS of Troon Mountain and Pinnacle Peak. 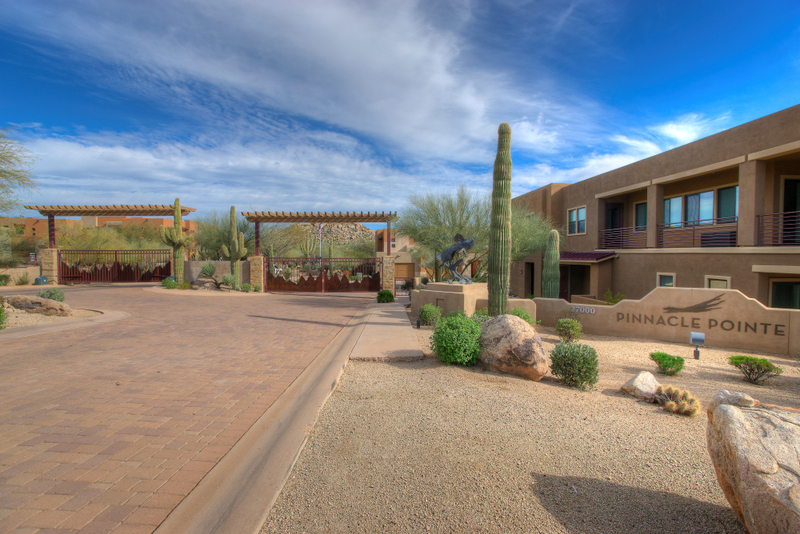 This is one of the best locations in the whole complex. 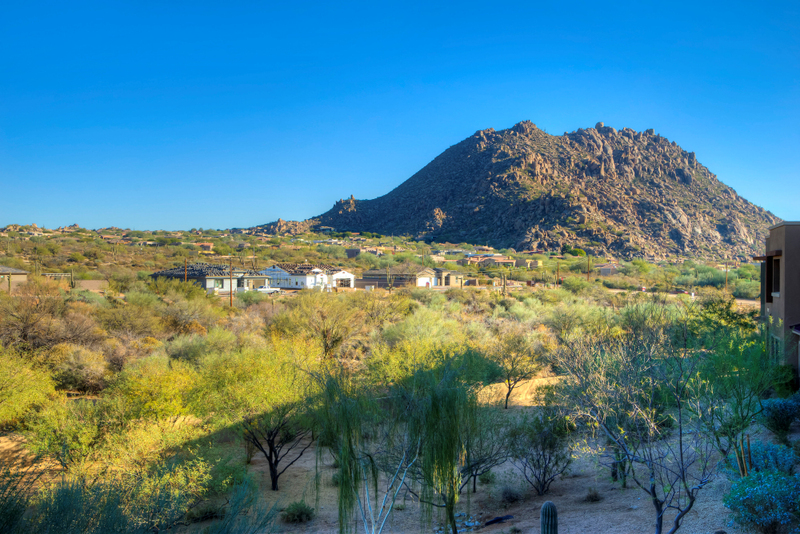 Views of Troon Mountain one direction and Pinnacle Peak from the other. 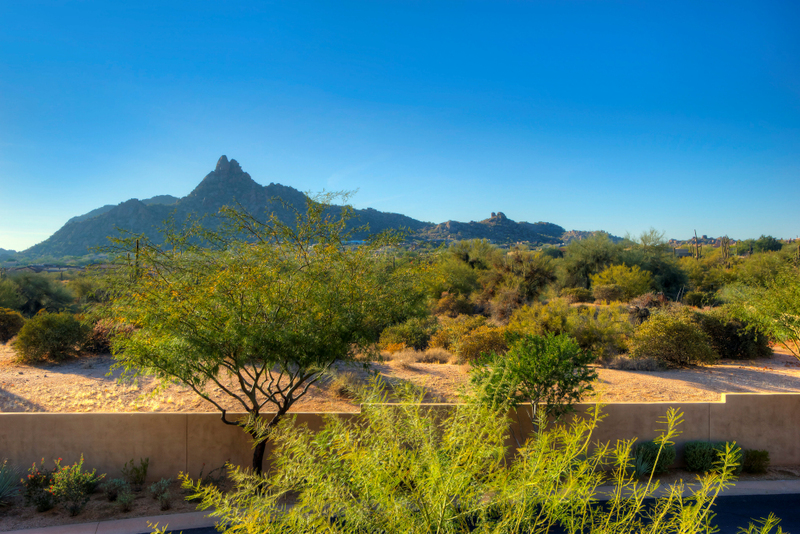 Very few condos have views in both directions. Retractable wall of glass and three balconies to enjoy the stunning views and indoor-outdoor lifestyle. 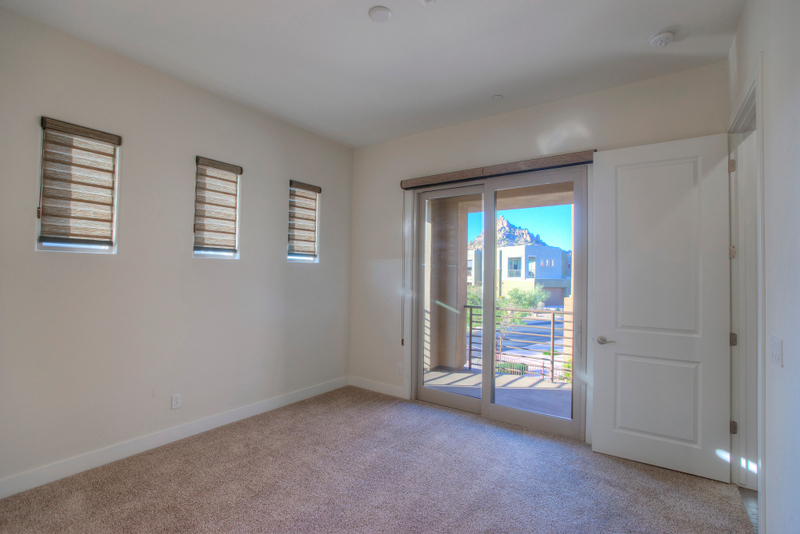 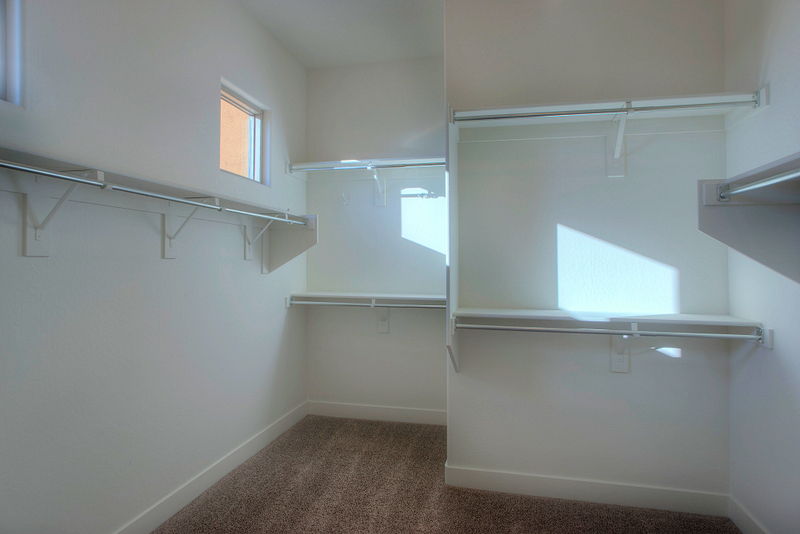 Great room pocket doors completely retract into the wall. 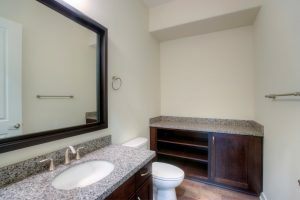 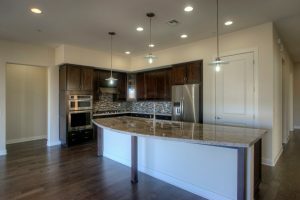 Over $113,000 in upgrades and options including gourmet kitchen with stainless appliances, gas cooktop and massive kitchen island. 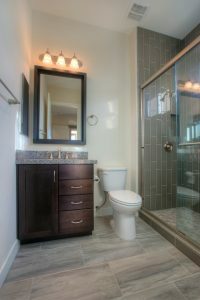 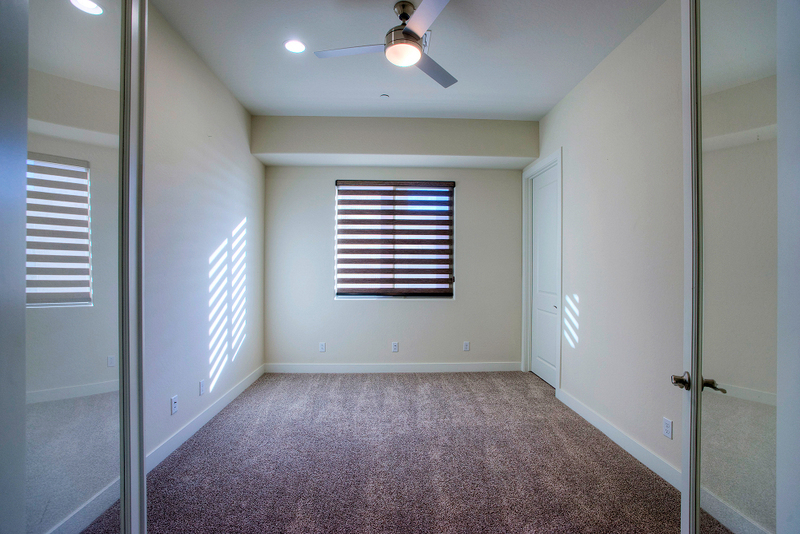 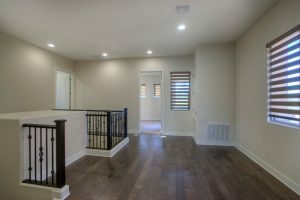 Other features include wood floors, highly upgraded master bath and exterior fireplace on patio. Gated community with heated pool, spa and fitness center. 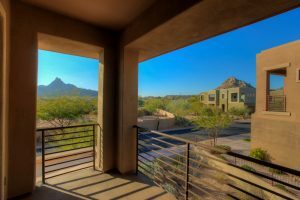 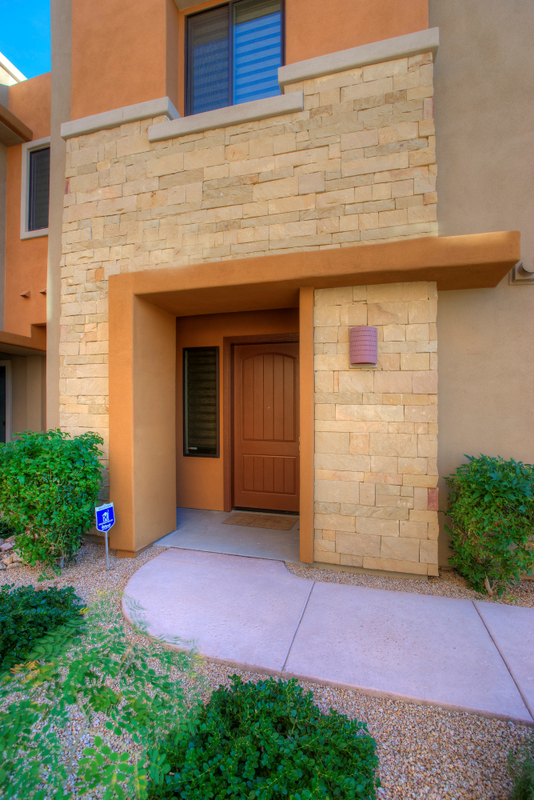 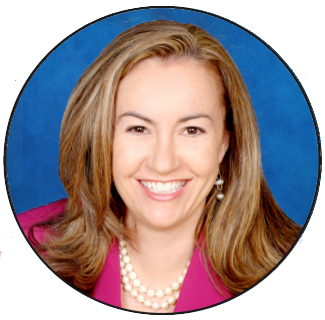 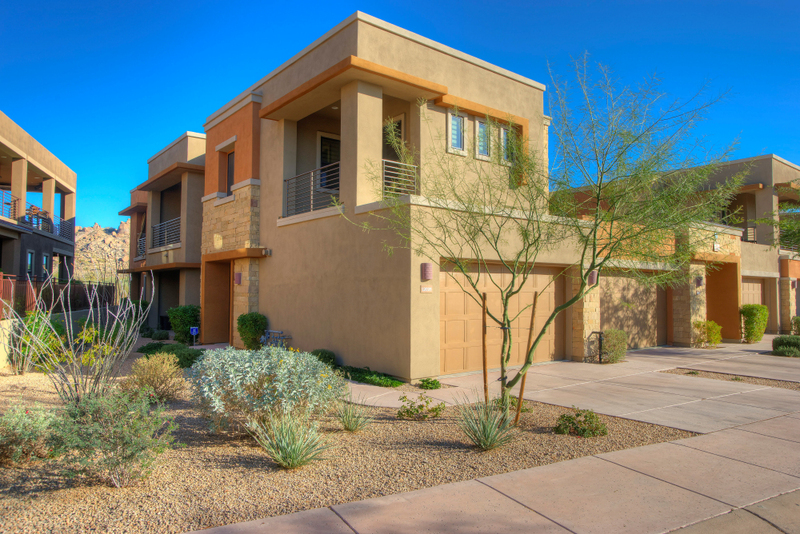 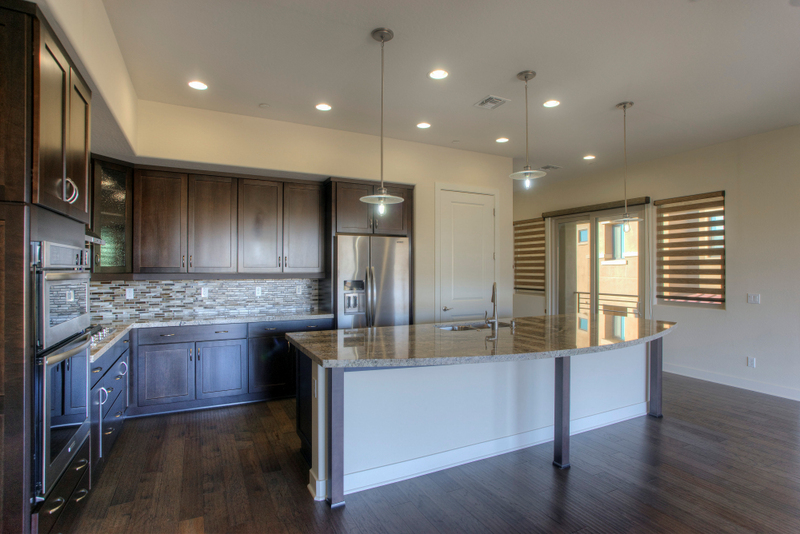 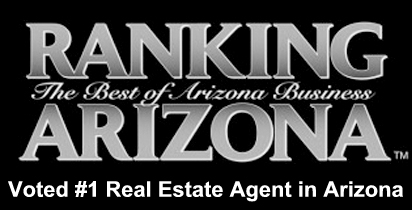 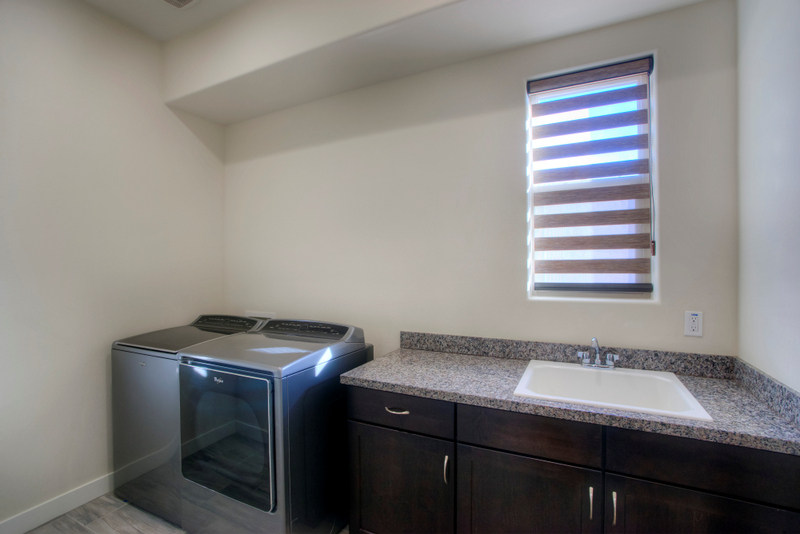 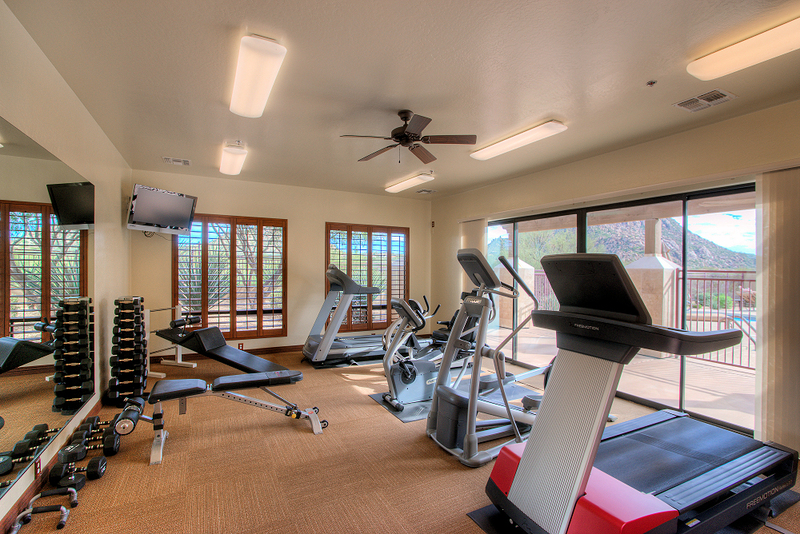 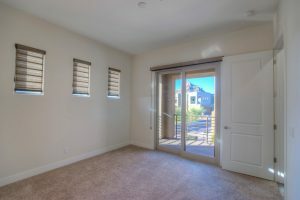 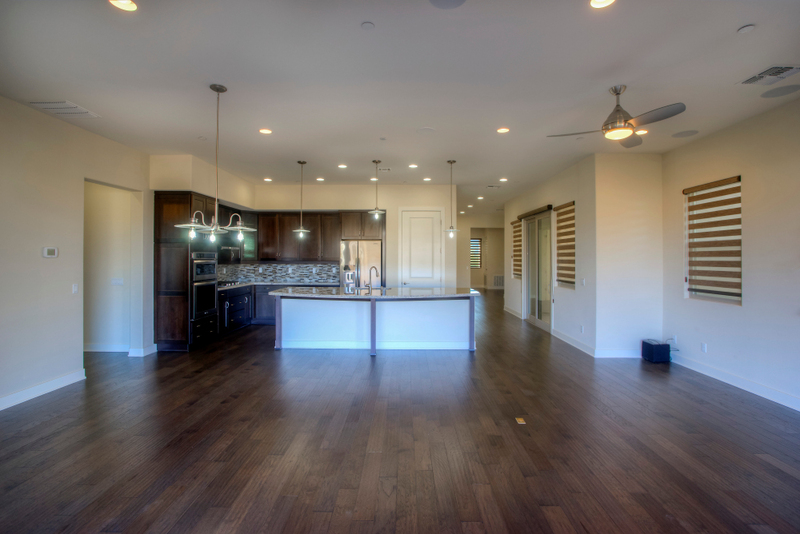 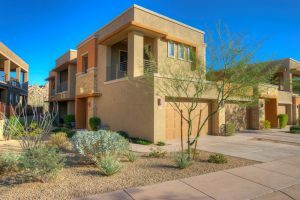 Directly across from the Four Seasons Resort, moments to Pinnacle Peak hiking and Troon North Golf Club. 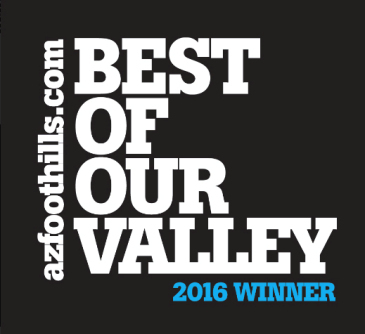 Cross Streets: Happy Valley Rd & Alma School Pkwy Directions: Happy Valley & Alma School, go North on Alma School, community will be on your right. Enter through gate, turn right to condo #2025 on East side of road.